Provide comfort for the family of Judith Nelson-Lowe with a meaningful gesture of sympathy. 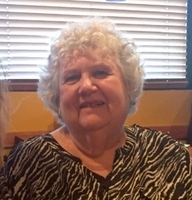 Judith Ann Nelson-Lowe, 77 passed away on January 19, 2019 surrounded by family at the Bates County Memorial Hospital in Butler, Missouri. Judy was born February 11, 1941 the daughter of Lloyd and Ida Lee Nelson. She is survived by her sons, Randall L. Lowe of Butler, MO, Steven W. Lowe and wife Marcia L. Lowe of Hernando, MS; and Daughter Nicole L. and Ryan Redinger of Grandview, MO; five grandchildren, Ryan W. Lowe, Kelsey L. Lowe, Stanton C. Lowe, Hannah M. Lowe, and Rebecca L. Fleming; and one great grandson Avery L. Badtram. She is also survived by her niece and family, Diana L. Nelson-Anderson, Kevin Anderson, Allison, Ellen, and Ethan. Judy was passionate about and excelled in her career at Truman Medical Center in Kansas City, MO where she worked for over two decades until she retired in 1989. She was an active and faithful member of Calvary Baptist Church in Butler, MO for years teaching Sunday School, Vacation Bible School, and directing children’s Christmas programs until her health prevented her from continuing to serve in the church. She loved to write stories and poems. Beginning in her early childhood in Macon, MO, she had a lifelong love for animals; especially horses. A service is planned for 2:00 p.m. on Sunday, January 27, 2019 at the Humphrey’s Community Center in Humphrey’s Missouri. A private family interment will be at the Humphreys cemetery. 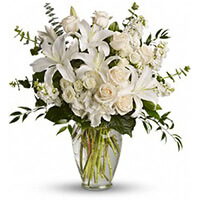 To send flowers in memory of Judith Ann Nelson-Lowe, please visit our Heartfelt Sympathies Store. Bill Moore sent flowers to the family of Judith Ann Nelson-Lowe. My deepest Condolences on your loss. Judy was a wonderful Aunt to me and I have very fond memories of Christmases hosted by Judy and Stan in their Home with our Families. May you find comfort now that she is at peace. Bill Moore purchased the Dreams from the Heart Bouquet for the family of Judith Nelson-Lowe. Im so sorry for your loss. Judy was like a grandma to my kids especially to my daughter..she was loved by us just like family ..im gonna miss talking to her..she was a sweet lady..
My condolences to the family of Judith. May God's promise of a resurrection bring you hope and comfort during this difficult time. John 5:28, 29.